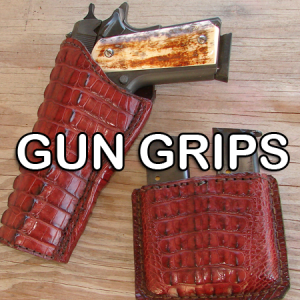 When my Hobby become my regular Job ,I needed a new Hobby ,I started making gun grips for all my own stuff then people started drooling over my guns an wanted grips like them , so I got a new Hobby , I do light gunsmithing for local folks. Gun Handles occasional broke firing pin ,or Extractor or sometimes I pick up Old Antique SXS shotguns and "Restore them " , 1898 and earlier ,I love the old Patina and the challenge of making them shoot old Black Powder shell i load myself appropriate for the gun , it’s a Blast. We also enjoy Shooting every chance we get , As well as Hunting ,Hog's ,Deer , Or annoying critters of other persuasion we don't necessarily put in the freezer. On Our Gun Handles , We Love Stag , Ivory , Sometimes Horn Buffalo or Sheep , all 1911 Grips can be fabricated without the Gun usually. Now if your 1911 has everything on it Ambi safety , cappachino machine ect we may need to fit them. 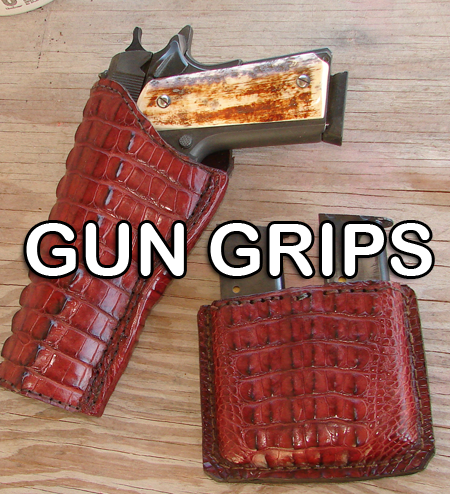 All Colt Six shooter stuff, Clones or Double Action you must leave the Gun for hand fitting to get proper grip placement I will not guarantee it any other way. You can keep the cylinder out of it if your afraid I am going to shoot it or do something else you don’t like or you don’t trust me ,makes me no difference an I don't take offense . Copyrights 2013 TbarK. All rights reserved.